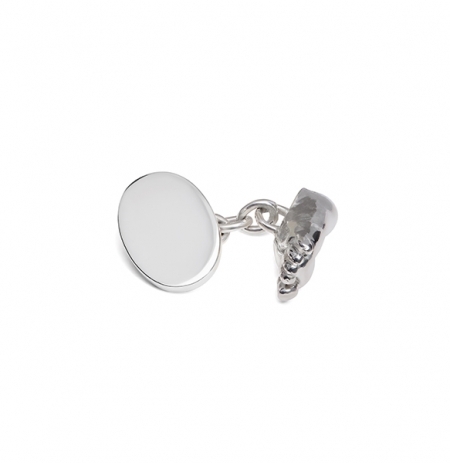 Solid sterling silver bar-clip cufflinks. The price includes one fingerprint engraving on flat oval and a short engraving on the domed oval (name, initial or date of birth). The cufflinks are also available in 9kt and 18kt yellow gold, rose gold, white gold and are made to order. Please contact us for further information and prices. *Please note a maximum of 30 characters can be engraved on any one flat oval. 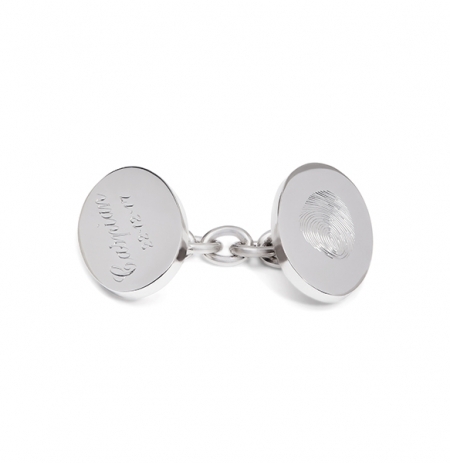 At Philippa Herbert we only use solid silver and solid 9kt yellow, white or rose gold. We don't use any plate or vermeil as this will eventually wear away and we want your jewellery to last!